This is the Atomium located in Brussels, Belgium (the heart of the European financial crisis). It’s an iconic building originally constructed for the 1958 Brussels World’s Fair. Its nine 18 m (59 ft) diameter stainless steel clad spheres are connected so that the whole forms the shape of a unit cell of an iron crystal magnified 165 billion times. Tubes connect the spheres along the 12 edges of the cube and all eight vertices to the centre. They enclose escalators and a lift to allow access to the five habitable spheres which contain exhibit halls and other public spaces. CNN named it Europe’s most bizarre building. Nuclear and molecular structures look similar to mind maps respectively concept maps.. Mind maps look impressive and force users more to retrieve information than textual descriptions do. Single units in the nature are connected by forces like gravity. These connections are usually invisible. What we do with mind maps or concept maps is to adapt cognitions to our main sense of perception, the eyes. The Atomium in Brussels shows us the way we visualize atoms or molecules. As we know today this image has lots of flaws and is far away from the reality. But it helps us to understand the things. So it seems to be natural that we transfer these images to other parts of our awareness. My conclusion is that mind mapping is near to the way our brain works. If you are engaged in social networking register at Vizify.com and let the server-side software create your bio. If you create your own bio you get a link which can be used for publishing wherever you want (website, E-Mail signature, social media). From the settings menu there is also HTML code available which can be embedded in websites to display an icon with a link to your visualized bio (see the widget in the widget section of my blog). 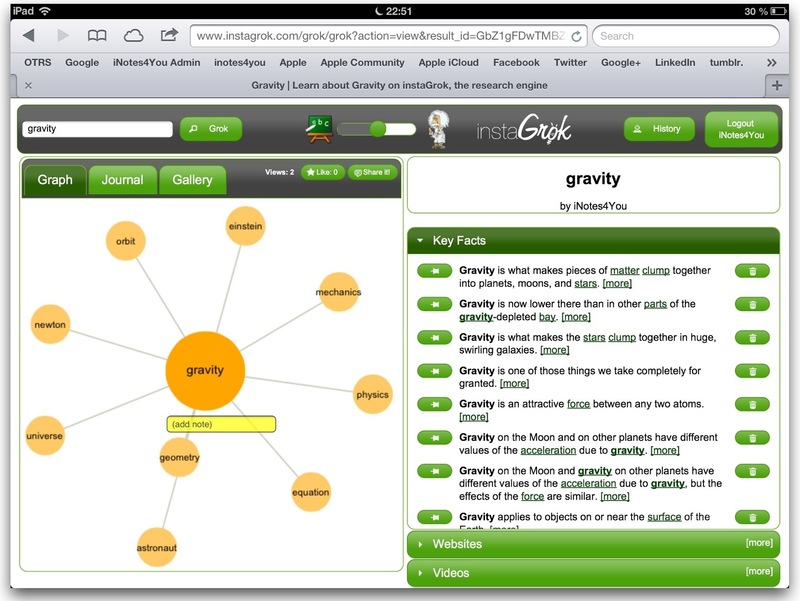 Enter a search term like ‘gravity’ and tap on Grok. 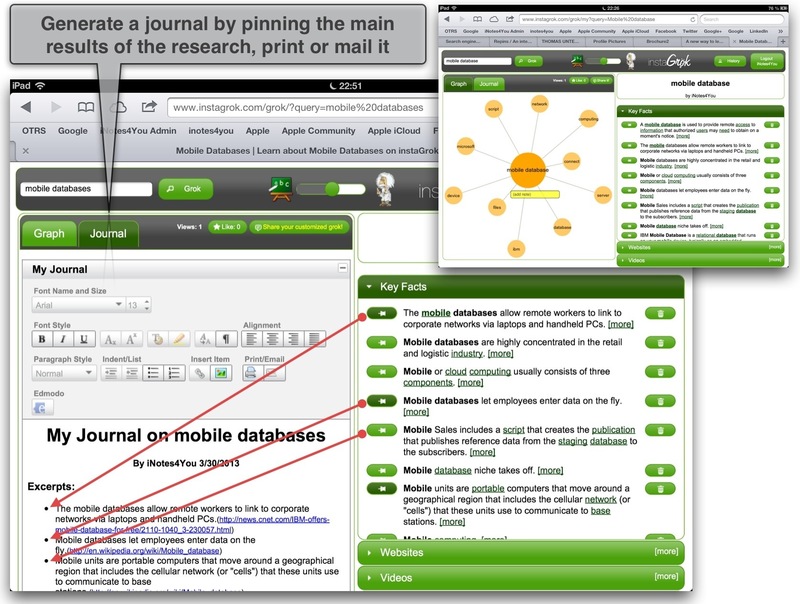 Excerpts of external information sources are displayed on the right side of the screen while topics are created as a molecular structure on the left side. Additionally InstaGrok can be used to create a journal containing selected information. Unfortunately I got no reply from InstaGrok. My free account might be the reason. Completely different from the above mentioned more informative mind maps are Art Mind Maps which may beautify your home and additionally may inspire you to think about some topics. The devices changed from a pen to a computer but the basic idea to connect topics like cells are connected by nerves remained the same. What we can see when we look at the Atomium, the related keywords of gravity, or early maps is near to our brain wherein uncountable interconnections between cells are the basis of intelligence, knowledge, creativity, and imagination. So mind maps are extremely close to the nature of not only human beings. I think this may be the reason that we find this technique already some hundred years ago. Starting mind mapping is starting visualization of what’s going on in our brain. If we again look at the Atomium we see a visualization of the basic unit of matter and if we look on mind maps we see the visualization of our thoughts. Two different areas of nature but the same method to visualize them. It seems to be the pattern, implemented in human beings, with which we try to understand things. Studies of Chuck Frey validate the improvement of skills by using mind mapping techniques. So it seems to be obvious that mind mapping is a deep-seated tradition. 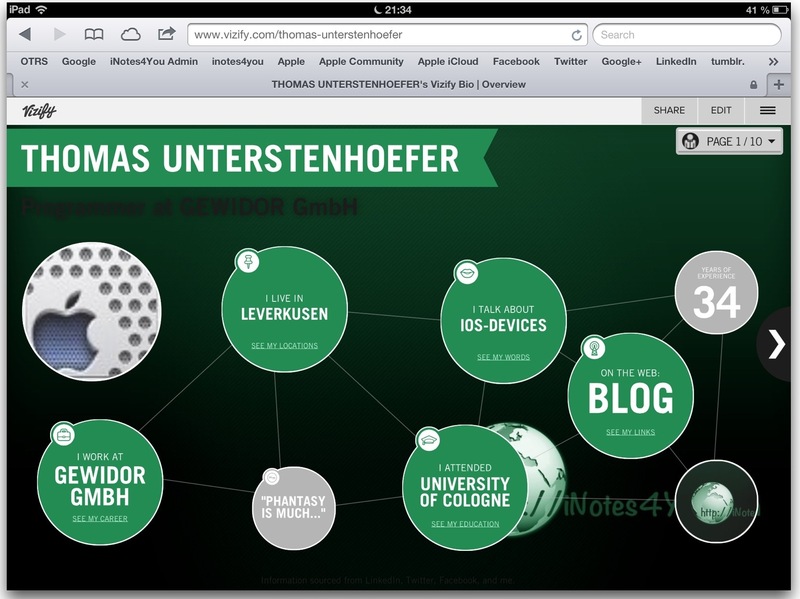 See this mind map on the Blog of Hans Buskes, Netherlands. It’s recommended to do web-based mapping with the help of a computer. My experiences with using an iPad are somewhat disappointing. The performance is far away from an acceptable user experience and some controls do not work together with touchscreen techniques. Happy mapping for those who are inspired now and want to create their first map.